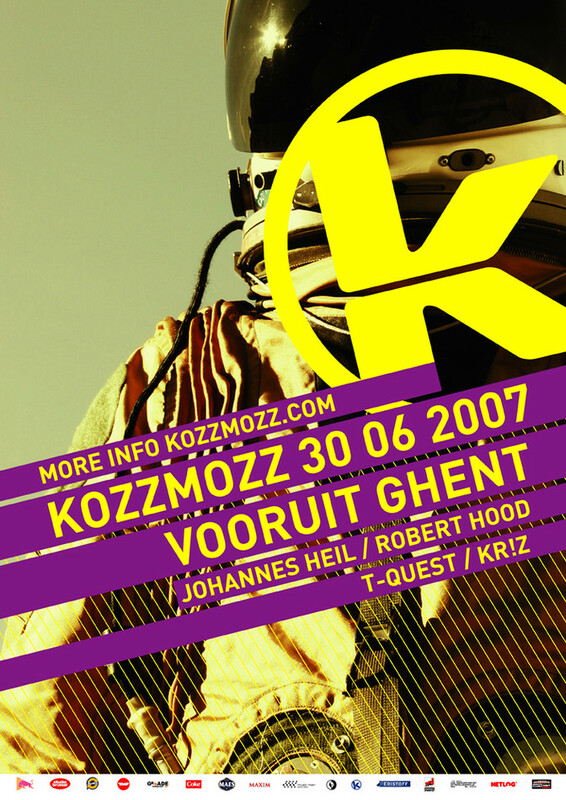 For what’s usually the best Kozzmozz of the year, we return to our previous venue Vooruit. The only protected monument in Flanders in which you can party and where there’s always a unique atmosphere. Located in the center of town and easily accessible for everybody ! Come and celebrate the end of the exams or just the beginning of the summer with not less than two big international names and our residents. Johannes Heil is one of the most celebrated German artists. Heil already produced for labels such as Kanzleramt, Klang Elektronik and Datapunk. With his last year’s album "Freaks R Us" Heil is conquered dance-floors all over the world again. His blend of straight techno with electro and minimal elements surely keeps any party going. Robert Hood had a huge influence on the development of the techno scene as we know it. As a former member of the Underground Resistance crew, he was responsible for the first underground techno-sounds that hit Europe. Today, his legendary "Minimal Nation EP" is still seen as a milestone in the history of techno. With his own M-Plant label, he communicates his own vision on electronic music. Don’t miss out on this rare opportunity to see this techno-legend at work! Our compatriot T-Quest has been playing for Kozzmozz since the very beginning. He knows how to make the Kozzmozz-crowd go wild like no other !